South Georgia/North Florida Dairy Update meeting in Quitman, GA: October 13, 2015, with Dr. Ricardo Chebel speaking on Dairy Innovations that Could Improve Your Herd’s Reproductive Performance. Please make a reservation by calling (386-362-2771) or email (meso@ufl.edu), preferably by Friday, October 9. Corn Silage and Forage Field Day in Tifton, GA: Thursday, June 18, 2015, 7:30 am. UGA/UFL Financial and Management Decision-Aids Workshops. The Universities of Georgia and Florida Extension Services have created three new printed and electronic dairy budgets for dairy producers using conventional, grazing, or hybrid production systems. These budgets can be used to calculate “what if” scenarios if there are ways you might be planning to change your farm. These two universities will also be releasing several stand-alone decision-aids. To help show dairy producers and managers how to utilize these free Excel budgets and decision-aids to make better financial and management decisions for their operations, several workshops will be held in late January and February. You are also welcome if you just want to compare these budgets. They are based on inputs from local dairy farms. 8th Annual Dr. Harvey Rubin Memorial Food Animal Veterinary Medical Conference, March 14-15, 2015, in Kissimmee, FL. See schedule here. Florida Dairy Production Conference, April 29, 2015 at the Straughn IFAS Extension Professional Development Center in Gainesville, FL. For proceedings click here. South Georgia/North Florida Dairy Update meeting in Quitman, GA: May, 19, 2015, from 11 am to 1 pm with Dr. Emily Miller-Cushon speaking on How feeding habits affect growth and welfare of dairy calves. Email your reservation by Friday, May 15. A Dairy, Corn and Soybean Markets Update in Bell, FL: Tuesday, June 2, 2015, 7:00 pm with Dr. John VanSickle. 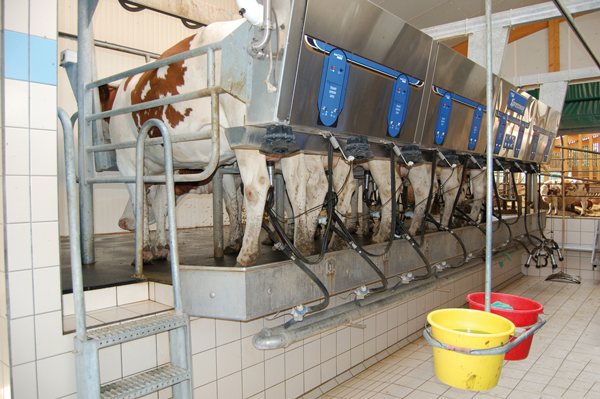 Twilight Dairy Farm Tour in Trenton, FL: Tuesday, June 9, 2015, at 7:00 pm. Calving and Newborn Management: August 21, 2014 10:00 am – 2:30 pm. You may view the Power Point slides of this lecture in English and Spanish as well as the slides on colostrum in English and Spanish. Calf Birth to Weaning Workshop – University of Florida Dairy Unit, Gainesville, FL, Thursday, October 30, 2014. View slides here.